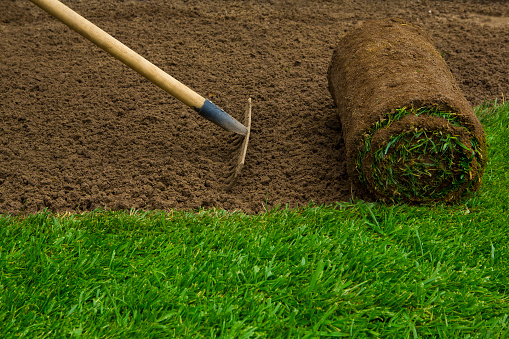 Having a tough time finding dependable Vienna lawn service? When you’re tired of searching, give the professionals at Complete Lawn Service a try. We have been creating first class outdoor spaces to northern Virginia residents and businesses now for over three decades, and we cover the full spectrum of lawn services. We have been a family owned and operated company ever since 1972, when owner Joe Stout started the company with a lawnmower in the back of his Honda! Lawn Care: We can mow and edge your lawn with an extra touch; we’ll take care of maintaining grass height and change direction of the mowing when possible. We can use various fertilizers and seeding for weed and insect control, and we’ll take care of the health of your plants and keep your shrubs and trees neatly trimmed. Landscaping: We can design and install a space with healthy plants, a lush lawn and other features that combine visual appeal with sustainability. Our hardscape designs can be elegant or naturescape oriented with well-placed walkways, retaining walls and water features. We even provide drainage solutions that protect your space from flooding and erosion. Irrigation: Our sprinkler systems are custom designed with state-of-the-art components, and we have a Certified Irrigation Designer that will evaluate your outdoor space and design a system that properly irrigates your lawn and conserves water. Once your system is installed we provide year-round maintenance and can upgrade it if needed. Mosquito Control: Our licensed and trained employees can view your property and make recommendations for mosquito and tick elimination, and we use environment and pet-friendly natural oils to keep your lawn healthy. Snow Removal: In the winter, we’ll plow, shovel, and melt the ice to get you back in the outside world or give people access to your business again. Whatever your home or business needs may be, when you’re looking for dependable Vienna lawn service, we hope Complete Lawn Service is your destination. Call or e-mail us today for a complimentary landscape consultation!